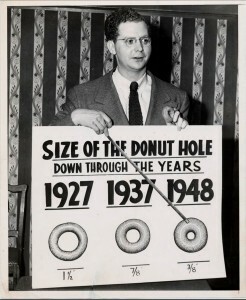 Part of the Smithsonian's Sally L. Steinberg Collection of Doughnut Ephemera -- Click on the image to see it larger. When you are working on volume in your class, you can use this activity for students who might like to find some other interesting volumes -- like the torus. This self-directed activity lets students develop some understanding of a torus volume formula and practice the ability to use algebra to make the formula work better for donuts. 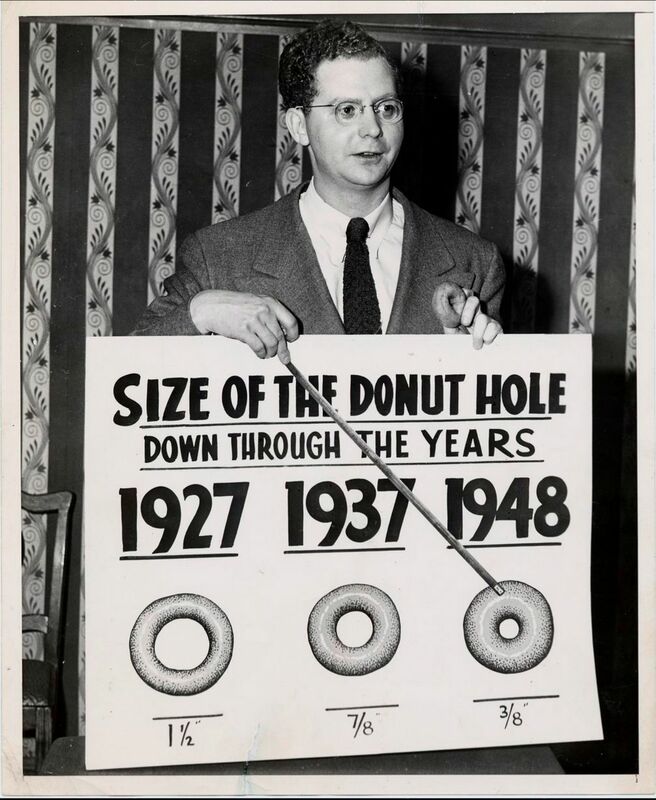 Students then try to get a grip of how much actual cake there is in a present day donut or try to measure how much donuts have changed. For members we have an editable docx and hints and solutions.